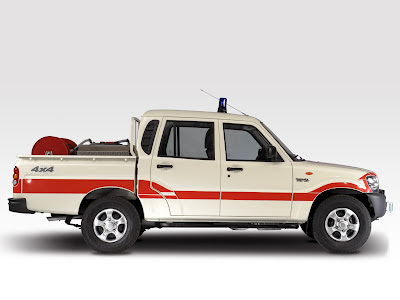 The Mahindra Scorpio is an SUV manufactured by Mahindra Company. It was the first SUV from the brand built for the international market. As its body is mighty and daring I thought of making its Monster version. Then the result of the work was fine and i am happy with it. 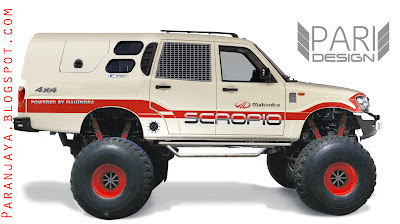 The monster chassis with big fine tires makes it look more aggressive.The upper body part was fetched from previous Mahindra scropio 4x4 modification. And is altered with some minor changes which can easily be noticed. Yeah it certainly is Photoshopped. It is not real but just an concept idea. Yes,I also thinks same that its just done by Photoshop.Its not a real one.